We are exited to announce the winner of our first Leverage & Launch Contest. 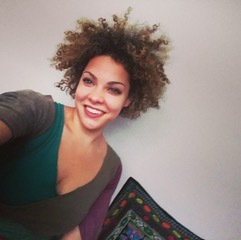 Our tribe of womenpreneur mentors will be working with Maria Bregatta, who will be launching Café Mamajuana, a full-fledged restaurant with catering that connects Burlingtonians with Dominican, Afro-Caribbean, and Spanish culture by using food as a vessel of tradition, nostalgia, and identity. Maria was among 16 applicants who shared their business ideas and start-up stories with our partners / mentors. Each applicant answered a series of questions to share their motivation for building their business AND how they would best utilize our robust package of services. 1-free class and counseling session at Center for Women & Enterprise. Our tribe of women mentors are excited to work with Maria on the launch of Café Mamajuana. Mamajuana is currently catering in the area and received some excellent press from Seven Days. Maria also started a GoFundMe campaign to help with the start-up costs for the restaurant. Please check out the links below.